NHL News : Leafs make highly anticipated roster move on Sunday. Leafs make highly anticipated roster move on Sunday. The Toronto Maple Leafs have finally made the move. According to an official report from the Toronto Maple Leafs department of public relations the team has finally activated veteran forward Tyler Ennis off of injured reserve, an indication that he will make his long awaited return to the line up after an extensive layoff. There had been some indication that Ennis could return as early as Saturday when the Leafs faced off against the Montreal Canadiens at the Bell Center but that moved did not materialize. The Leafs however are on their second game of a back to back this evening which would appear to indicate that Ennis is expected to enter the line up this evening when they face off against the New York Rangers. Now it is important to note that the Maple Leafs did not officially confirm Ennis' presence in the line up this evening but given that he has been activated several hours before game time it seems likely that he will indeed play this evening, although that is purely speculation at this time. The widely held belief is that upon Ennis' return forward Frederik Gauthier would likely be the odd man out in the Maple Leafs line up, although this also has not yet been announced by the Leafs and remains purely speculative at this time. Gauthier has not done a good job of winning over fans in Toronto this season through the 45 games he has played for the Leafs. In total he has collected a meager 2 goals and 8 assists for a total of 10 points, but he also boasts a respectable plus minus rating of +6. Ennis on the other hand has produced more goals and more assists in spite of playing in significantly fewer games. 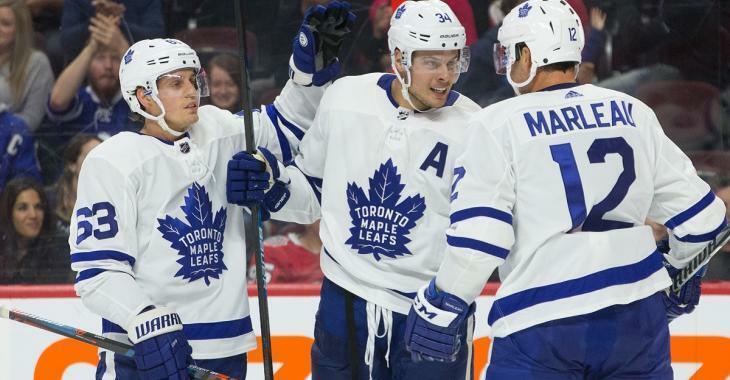 Through just 33 games as a Maple Leaf during the 2018 - 2019 NHL regular season Ennis has 7 goals and 4 assists for a total of 11 points and in his case he boasts a plus minus rating of -1. Should he play this evening it would be his first game back after an 18 game absence, so it will be interesting to see how long it takes him to get back to game speed.